FBI Agent Charged After Dance Move Resulted In Accidental Shooting After an agent's gun was fired inside a Colorado bar, he's now facing consequences and an internal FBI investigation. 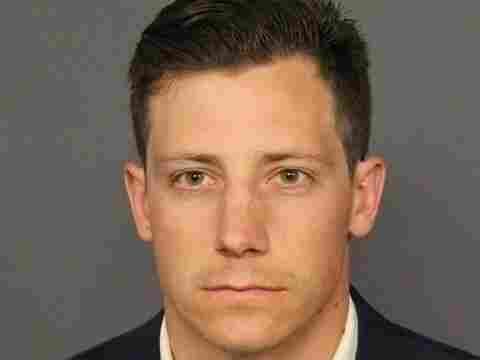 FBI agent Chase Bishop is facing a charge of one count of second-degree assault, after a mistake during a dance routine at a Colorado bar resulted in his gun firing — and a man getting shot in the leg. After a warrant was issued for his arrest, Bishop turned himself in on Tuesday. This is following a recent incident where his weapon fell and was discharged on the dance floor at Denver's Mile High Spirits Distillery and Tasting Bar. The agent was taken into custody on June 2 before being released to an FBI supervisor. Bishop also faces the possibility of an additional charge, according to the Denver district attorney's office. The results of a blood alcohol content evaluation will play a role in determining any other potential charges. District Attorney Beth McCann said in a press release that the evaluation may take up to a week to receive the blood alcohol results, according to the Denver Post. "If an additional charge needs to be filed after further evidence is received, we can file those charges then," McCann said. The FBI is currently conducting an internal investigation into the shooting. A video of the incident that was released to the public shows Bishop, in a navy shirt and khaki pants, completing a series of body rolls and a backflip, as a crowd stands around him. But as the agent lands, his gun slides out onto the floor. And as Bishop picks it up, it fires toward the crowd. He then re-holsters and walks off the dance floor, with his hands up. The man on the receiving end of the bullet, Thomas Reddington, was injured but will recover, his attorney told the Denver Post.